A great slab of intelligent pop rock from this appealing young band – I hear elements of Crowded House, The Beatles and general classic rock delivered in a modern and original way. All the boxes ticked for me – there’s a nifty little distorted bassline running through their first track “Why” from Noriko Watanabe while third song “Do I’ features a lovely fusion solo from the talented Issac So on guitar which otherwise has a Cream-like feel (the band, not the dairy product). There’s unquestionably an understanding between them and the equally talented Masaki Heung on drums, and together they’re as strong rhythmically as they are melodically. It’s great to see this musical chemistry, which means excellent vocalist and guitarist Adrian da Silva can confidently concentrate on his singing. Great stuff, and it’s not until they take on the mighty “Come Together” we see anything resembling a stutter. It’s a calculated risk, and one that doesn’t quite come off, but I still admire their ambition. I mean, listen to the original. Main support act Still Minds began their set with ‘Why’ – a Bluesy/American Rock number with smooth licks by Tony Lee and a low anchoring bass from Noriko Watanabe. Instrumentally, this track had elements of John Mayer about it, but once Adrian Da Silva’s falsetto cut through in the chorus, it added a Counting Crows flavour, taken straight out of the mid-90’s. ‘Do I’ clearly channelled Led Zeppelin with low distorted riffs in unison on both guitars and bass, meanwhile Masaki Heung boomed out his inner John Bonham with splashy hi-hats and loose backbeat. Sadly, the vocals were clouded by Lee’s lead guitar, but his pentatonic-based slow bends and subtle whammy bar served well in the solo. ‘Till I Found You’ started with a funk rock riff reminiscent of Red Hot Chilli Peppers ‘Get Up and Jump’ but with far less angst. This swiftly changed in the verses with interesting chord shapes on top of Watanabe’s low rumbling bass, creating an Afghan Whigs/heavy Doves hybrid. Da Silva’s soft tones cut through the mix a little better with the repetition of “So out of line” over a solid ascending progression. 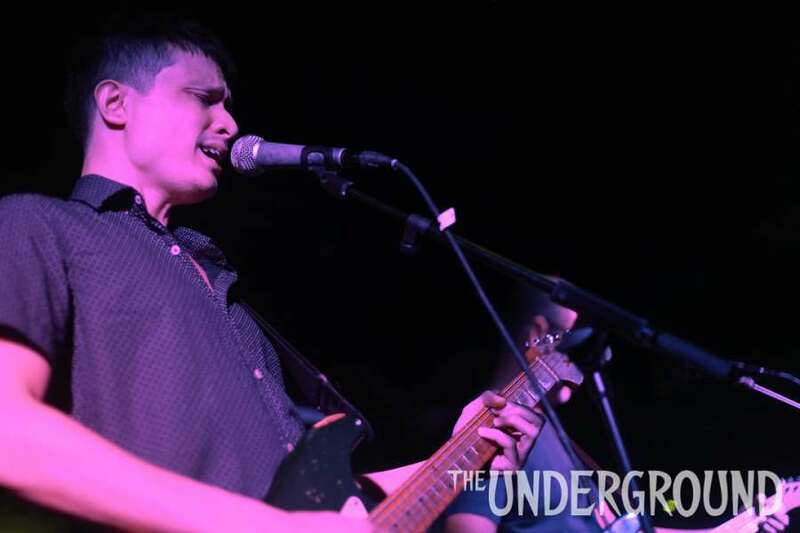 ‘Sad song’ and ‘Too Many Times’ brought the tempo down with their undeniable 90’s American Rock sound. Da Silva inflected Josh Homme vocal lines over augmented chords making ‘Sad Song’ sound like a sophomore Queens of the Stone Age track, whilst ‘Too Many Times’ had a similar feel to Seal’s ‘Kiss From A Rose’ with its swung 6/8 rhythm. Lee impressed the crowd with his effortless volume swells, slides and pull-offs, which blended with the song nicely. Penultimate track ‘Give It All Away’ was tightly played, with its jagged Maximo Park style riff over straight drums, before once again returning to the 90’s American Rock sound – this time echoing a laid back Foo Fighters. Still Minds closed their set with a Hendrix-inspired ‘All The Time’ paired with a soulful Alicia Keys feel which was helped along nicely by Heung’s shuffling drums. Whilst the band played impressively and held the public’s attention, they lacked stage presence and had no interaction with the audience throughout the 30 minute set. Nevertheless, they showcased their abilities well as individuals and collectively, as well as a level of professionalism that many aspiring musicians could look up to. So new that they didn’t even have a Facebook page yet, Still Minds (the ‘s’ was added after the flyers were printed!) were an unknown entity ahead of their UG 118 show. Lead singer Adrian Da Silva and drummer Masaki came from the thoroughly excellent HK group Audiotraffic, but it was unclear how Still Minds – with their promise of “radio friendly music” blended with “adult-oriented pop” – would sound. Now, we can confirm that the hype is real, or whatever the kids listening to “teen-oriented pop” say these days. It was a joy to behold. The band’s sound was broadly contemporary blues, rooted in US alternative rock. Da Silva’s rich voice was the best is has ever been; soft, soulful and seductive when it needed to be, with a harsh grittiness only ever a few bars away. Jerry Cantrell, Chris Cornell and Eddie Vedder could all be heard in thoughtful lyrics and that lush, intense voice. First song Why evoked both Pink Floyd and Tedeschi Trucks in its clever guitarwork, twisting solo, and deep, slow, reverberating bass. Lead guitarist Tony shared the spotlight on the Hendrix-meets-RHCP Bigger Mice, a funky track with a more traditional blues spin. “This is a song about 007,” said Da Silva, introducing standout track Bond. “All I have is you, precious you … you can make the sad song disappear,” he sang amid fraught fuzz of anxious guitar before optimistic closer Blues shed sunlight on the emotional gloom with big, summery guitars.